CEO and Chief Investment Officer, AthenaInvest, Inc. Professor Howard’s thought leadership in Behavioral Portfolio Management has generated significant interest across the country with record downloads of his "Behavioral Portfolio Management" white paper and presentations at the Investment Management Consultants Association® (IMCA®) 2013 Annual Conference and Financial Advisor Magazine’s 4th Annual Innovative Alternatives Conference. Articles by Dr. Howard have been among the most widely read on sites such as AdvisorPerspectives.com, CFAInstitute.org and FAmag.com. Mr. Howard joined AthenaInvest in October 2006. Mr. Howard designed, developed and implemented the company’s patented stock and mutual fund research database. 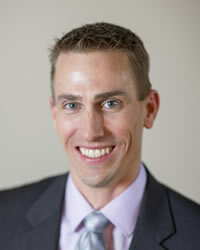 Mr. Howard is co-portfolio manager and research analyst on all Athena portfolios with his father C. Thomas Howard, PhD. Mr. Howard also provides oversight for all Athena portfolios across multiple models and platforms. Prior to joining Athena, Mr. Howard was a software development consultant to Fortune 500 firms. VP Business Development, AthenaInvest, Inc.
Mr. Bunker joined Athena in 2009 with more than 25 years financial services experience and brings deep expertise in strategic planning and business transformation within the industry. Prior to joining Athena, Mr. Bunker served as CMO for Primitive Logic, a premier systems integrator. From 1995 to 2006 Mr. Bunker held executive positions at Charles Schwab where he was instrumental in implementing Schwab’s fee based asset management service Schwab Private Client. He was responsible for retail sales and marketing efforts including implementing multi-channel marketing campaigns and advisor tools. He also led online product development efforts including launching Schwab.com and Velocity. Prior to Schwab he held leadership positions at Wells Fargo Bank and Bank of America in service, operations and finance. 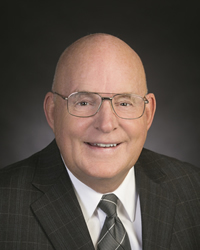 Mr. Bunker started his career with The Crocker Bank as a Financial Analyst in 1985 and by 1987 he became Vice President of First Nationwide Bank. 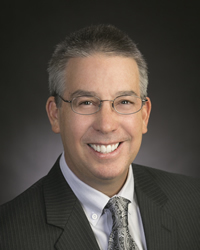 Mr. Bunker holds a Bachelor's Degree in Economics from University of the Pacific and an MBA from Pepperdine University, The George L. Graziadio School of Business and Management. He is also an active board member with the Boys & Girls Clubs of Metro Denver. 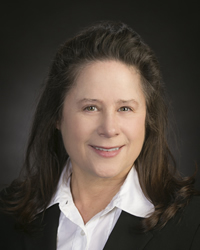 Director of Marketing, AthenaInvest, Inc.
Ms. Saunders is a senior marketing professional with over 24 years of demonstrated success in financial services marketing. She supports the AthenaInvest team in expanding the awareness of Behavioral Portfolio Management and the AthenaInvest offering. Prior to joining AthenaInvest, Ms. Saunders performed in several executive-level positions at Charles Schwab where she launched and managed the marketing and product development for Schwab’s retail and institutional proprietary mutual fund offers. During her time at Schwab, she also created and managed Schwab’s first Digital Marketing Group, managed their corporate strategic alliances and drove post-merger integration strategies. Her direction in marketing and public relations was instrumental in putting Schwab in the leadership position in online brokerage and later managed the marketing for Schwab’s foray into Schwab’s investment advisory services. 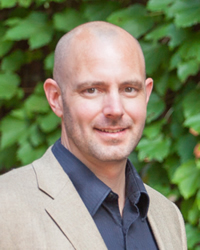 Director of Advisor Services, AthenaInvest, Inc.
Mr. Stock graduated in 1996 from the United States Air Force Academy in Colorado Springs with a Bachelor of Science in Engineering earning a top 25% academic order of merit. He served 10 years in the US Air Force as an F-15C fighter pilot, Air Liaison to the Army, and a Glider Instructor Pilot at the Academy. Mr. Stock was awarded the Air Medal for 32 combat missions and 122 combat hours flown over southern Iraq. He also saw combat on the ground leading a 20 man Forward Air Controller team into Iraq in 2003 at the beginning of the war. His final assignment brought him full circle back to the Air Force Academy as a Glider Instructor Pilot for advanced aerobatics and spin training. In 2005, he received his MBA in Finance at the University of Colorado. After separating from the AF in 2006, Mr. Stock worked for Morgan Stanley’s Fixed Income Division as a Residential Mortgage Backed Securities (RMBS) Trader in New York City. His responsibilities included trading, execution, structuring, and risk control in whole loan packages and primary bond offerings. He also has professional market experience with risk management and analytics including interest rate and credit hedges. Mr. Stock joined AthenaInvest in 2013 and oversees advisor services. Director of Sales, AthenaInvest, Inc.
Mr. Bogosian joined Athena in 2017 with more than 12 years of financial services experience and brings an ethical, consultative approach to sales. His responsibilities include the development and execution of sales strategies for Athena across the United States. Prior to joining Athena, Mr. Bogosian served as Divisional Vice President for AIG Financial Distributors. From 2012 to 2016, at AIG, Mr. Bogosian presented financial advisors with investment solutions and practice management expertise to help grow their businesses in the Midwestern United States. Prior to AIG, he served as Senior Internal Sales Consultant at Genworth Financial Wealth Management (AssetMark) providing fee-based solutions to the Independent Financial Advisor community in the Pacific Northwest. 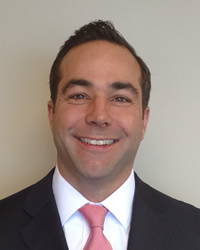 From 2004 to 2009, Mr. Bogosian worked as Senior Internal Wholesaler with John Hancock Financial where he earned Top Salesman honors and trained new hires in the Mentorship Program. Mr. Bogosian earned his Bachelor’s degree from Wesleyan University in Middletown, CT where he also played on the Men’s Varsity Ice Hockey team.